Established in 1985, Brands International Ltd has over the years successfully built and maintained a reputation for products of the highest quality and cutting-edge design. Throughout the decades, our company has been proud to represent some of the best names in European design and décor. Following a long involvement in the DIY, timber and furniture sectors, the focus nowadays is on providing complete furnishing and finishing solutions for the residential, commercial and contract sectors, all under one roof. The company is also the name behind the introduction of the international acclaimed brand BoConcept to Malta 13 years ago, making this the first Scandinavian interiors brand to hit the islands. With a fresh new look, logo and appearance, Brands International Ltd is looking forward to an even brighter future, not only for ourselves but also for our esteemed clientele. “Creating Spaces Worth Living In” is the company’s new tagline, precisely because we firmly believe that the spaces around us have a direct positive influence on our day to day living and overall feeling of well-being, and therefore we understand the importance of surrounding oneself with the things that matter the most. 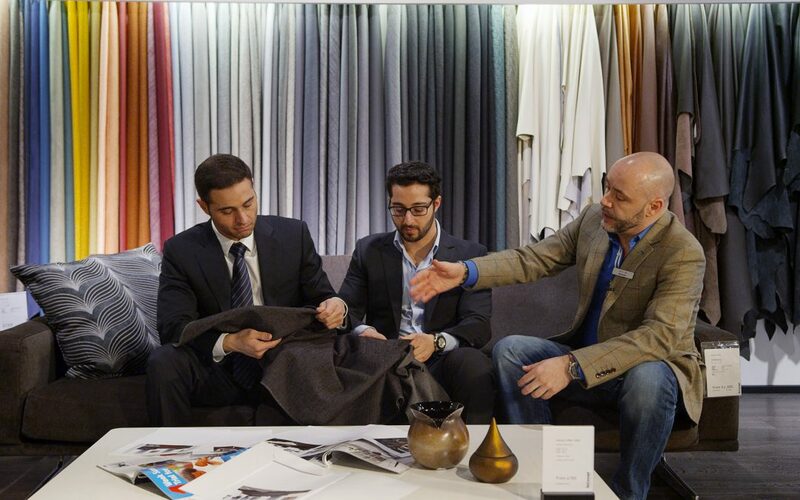 At Brands International, we believe that a personal touch and an excellent shopping experience is vital to meeting and exceeding our clients’ needs and expectations. After all, the better we know you, the more inspired we are to create a space that complements your unique character. Consequently, the vast majority of our products are modular and customisable, so we can truly offer solutions that are set apart from the rest, and most importantly that make the most of anyone’s space, whatever it might be. Our goal is to facilitate your search for the perfect home, office or commercial space by selecting brands which share our beliefs and meet our standards, and consequently use our expertise to guide our customers towards the best solution for their needs. Moreover, we strongly believe in preserving and protecting the world around us, which is why one of our top priorities is to source eco-friendly products made from sustainable material, supplied by reliable partners with a commitment towards top quality and authentic design. 2. Which brands do we support? Aster Cucine, BoConcept and Parador are just a few of the big names we represent. Our brands provide some of the most durable and beautifully designed products for kitchens, flooring and decking, cladding, indoor and outdoor furniture, full office furniture solutions, as well as home accessories. We also cater for specialised custom-made joinery projects. Visit our newly designed website and have a look at our brands, products and services that are laid out in a clear and comprehensive way. You can also view some of our completed projects in the Portfolio section. We would love to meet you in person, so feel free to make your way over to our showroom in San Gwann. We’d be more than happy to take you around and guide you through our different collections on display. At Brands International Ltd, we are proud to be at the forefront of the latest designs, technologies and trends when it comes to home, office or commercial spaces. Our site layout and web design may be new, but our values and ethics have remained the same. Book an appointment online, request a meeting through our website or give us a call – our team are looking forward to meeting you. Remember to follow us on Facebook to keep track of news and updates!